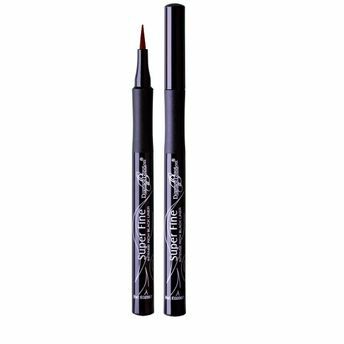 Diana Super Fine Intense Rich Brown Liner allows you to create trendy looks with utmost ease, thanks to its high-tech and innovative ultra-fine tip. It offers ultimate precision and quick-drying ability. This long-lasting liner gives you intense, defined eyes within one stroke application. Ultimate precision, quick-drying, long-lasting liner. High-tech and innovative ultra-fine tip. Ensures a precise and even application. Explore the entire range of Eyeliner available on Nykaa. Shop more Diana Of London products here.You can browse through the complete world of Diana Of London Eyeliner .Alternatively, you can also find many more products from the Diana Of London Super Fine Intense Rich Eyeliner range.